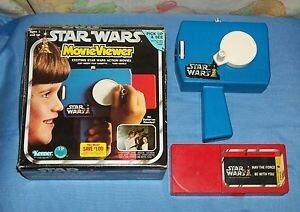 While we are saturated in the Disney marketing machine surrounding the new Star Wars movie, it’s hard to imagine there was once a time when there were no Star Wars toys. Today, the launch of the new Star Wars movie toy line makes national news in addition to being released 3 months ahead of the film. In the 70s, movies had a short shelf life, were un-tested and were quickly forgotten, making them poor candidates for toy tie-ins. The first Star Wars movie was released in May of 1977. By the summer, everyone knew they had a hit on their hands, yet the only merchandise that could be found were items that were easy to bring to market like T-Shirts and buttons. Lucas shopped the Star Wars toy licensing to all the big toys names at the time, Mattel and Hasbro and was turned down – just as he was a year before, ironically, while shopping Hollywood with his movie script. Lucas finally found a partner in Kenner Toys. Kenner Toys in 1976-7 was still a somewhat new player in the toy business, but had seen great success with another 70s icon, The Six Million Dollar Man. 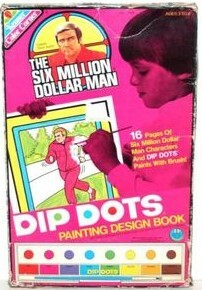 Kenner had taken a risk with The Six Million Dollar Man as television shows were also seen as poor toy properties. Kenner hoped that Star Wars could be another short-term success. By the time the deal was signed with Kenner there was just not enough time have toys on the shelves by Christmas – no matter how hot the movie was in the summer of 1977. Toys typically take months to be designed, sculpted approved and manufactured. Months Kenner did not have to capitalize on the pent-up demand. Kenner knew demand for action figures would be massive, though no one could foresee how massive it would become. In their place, Kenner offered parents an empty box to put under the tree. Inside, disappointed children were given a coupon promising real honest-to-goodness action figures would be shipped by spring of 1978. 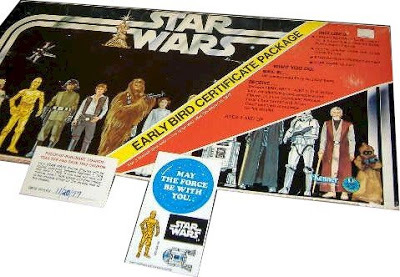 This became known as the infamous Early Bird Certificate Package. Kenner, still not sure of the longevity of the toy license they had acquired, wanted to see a fast return on their investment. So, they recycled many of their previous toys and re-released them as Star Wars items. In the rush to get anything Star Wars-related to market, nothing was left off the table. 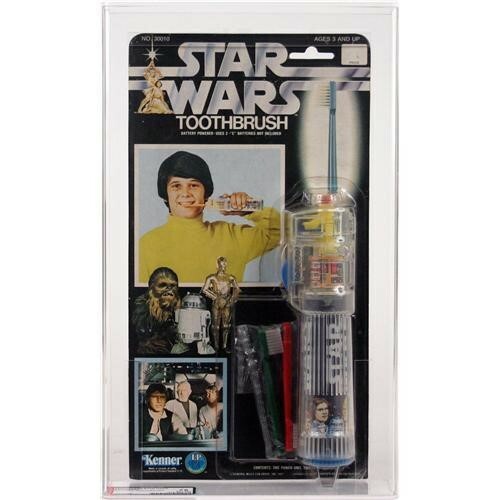 Enter the Star Wars Tooth Brush. 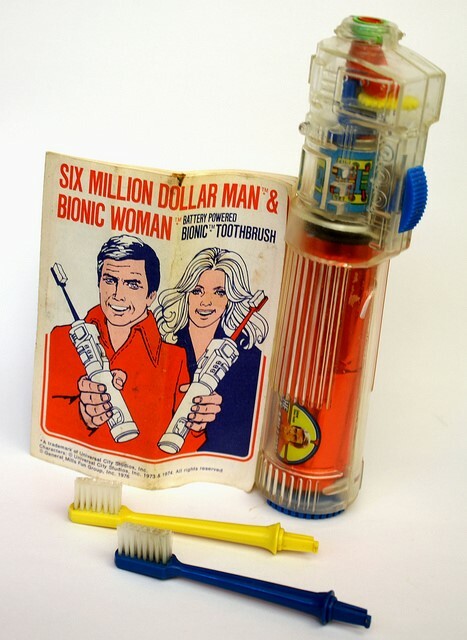 This battery operated toothbrush once adorned the toy shelves as the Bionic Tooth Brush, slap a few new sticker on it and a new display card and it become Star Wars. CB Radios were huge in the 70s (from Smokey and the Bandit and that Convoy song by C.W. McCall.) 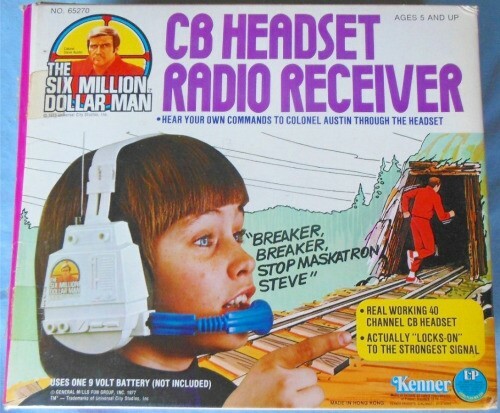 First used to communicate with the Six Million Dollar Man to assign missions and warn of danger, this CB radio headset was cast in black plastic and fitted with an AM radio… it soon became another Star Wars recycle. 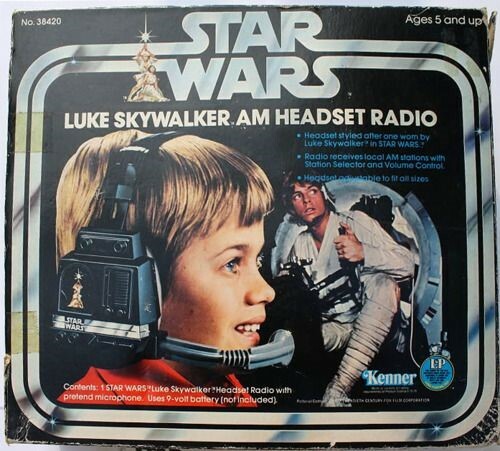 At least for this toy, there was actually a loose tie in to the movie – Luke and Han Solo, in their Millennium Falcon gun bays, wore a vaguely similar headset to talk one another. But remember when making toys or many other life situations, “Don’t get cocky”. 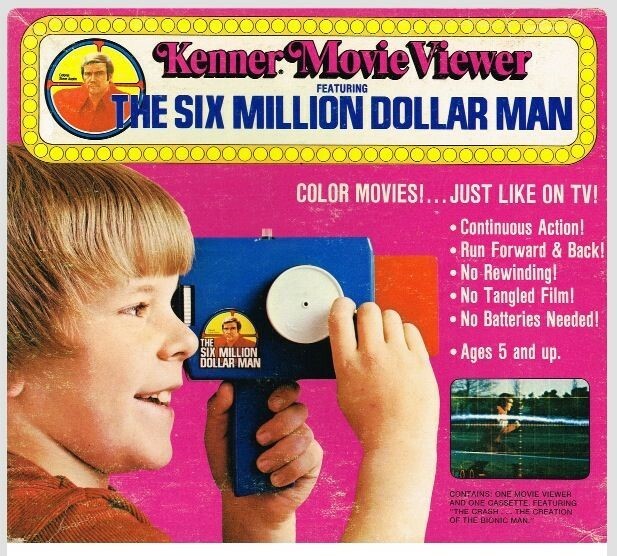 Long before video on demand, Kenner brought video to kid’s toys by way of canned 8mm film. Taking poor copies of film stock and transferring it to mini 8 mm film kids could have little clips of their favourite movie and TV shows to watch when they wanted. The Six Million Dollar Man featured 6 film cassettes. Once again, add a new sticker and Star Wars got its own version in this now rare classic. 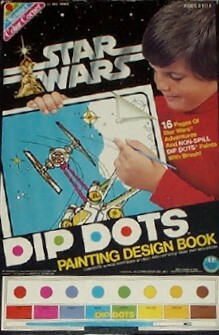 Kenner’s Dip Dots, a paint by numbers set that once saw kids painting their favourite bionic hero could now paint TIE fighters instead. When painting TIE fighters it’s always best to stay on target. Play-Doh, another 70s classic Kenner Toy that is still popular today, got the Star Wars treatment and became the Galaxy of Action Set. Instead of moulding new Bionic circuits, little orange and yellow Darth Vader could be stamped out whenever another Death Star was destroyed. By the middle of the 80s, just shy of the tenth anniversary of the first film, Star Wars was running out of steam. Many toys were planned but never realized. By the end of the decade, many Star Wars toys – especially from the cartoon Droids and Ewok series – were found in the clearance aisle. Ironically, it’s these toys that are now sought after by collectors everywhere. Kenner proposed one last run to capitalize on their line. Rather than being recycled toys from Kenner’s past, many of the toys proposed were actually recycled parts from their previous Star Wars toys. The recycled offspring created new characters and vehicles never seen in any Star Wars film before or since. Here are 5 just toys that never made it to market. AT-IC Part AT-AT walker from The Empire Strikes Back and part-recycled Ion Cannon from the Death Star Playset tacked onto its back. This vehicle actually looks like it belongs and makes sense from a military point of view. Imperial Attack Droid B – this one is out of left field. 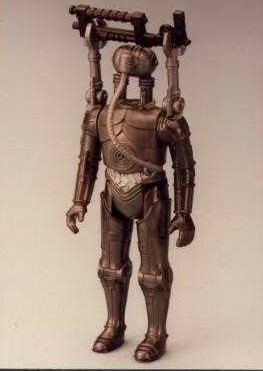 While the concept of an all-attack droid would be seen in Attack of the Clones, the figure itself is a mash-up of previously existing parts. Kenner recycling extraordinaire. 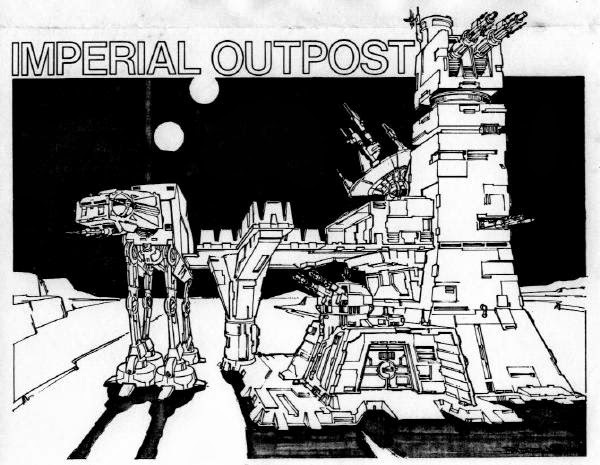 Imperial Outpost Playset – This playset did not resemble any Imperial outpost seen in any of the 3 films. It was, however, a neat idea that made sense. This unique offering would have produced one of the largest playsets if it had been built. Only concept art was ever produced, no prototype has been found. The Imperial Sentry Droid is recycling at its finest. 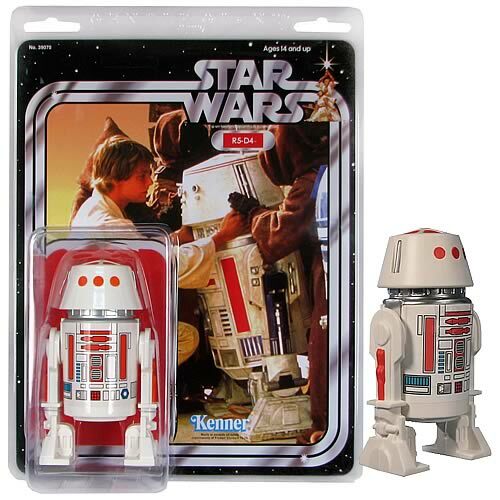 Simply repaint the previously released R5-D4 figure and slap a new name on it. 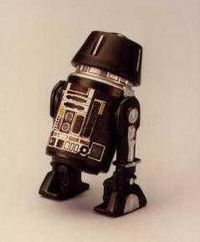 At least there were droids that looked like this in Return of the Jedi. Black Dual X-Fighter – I have saved my favourite for last. 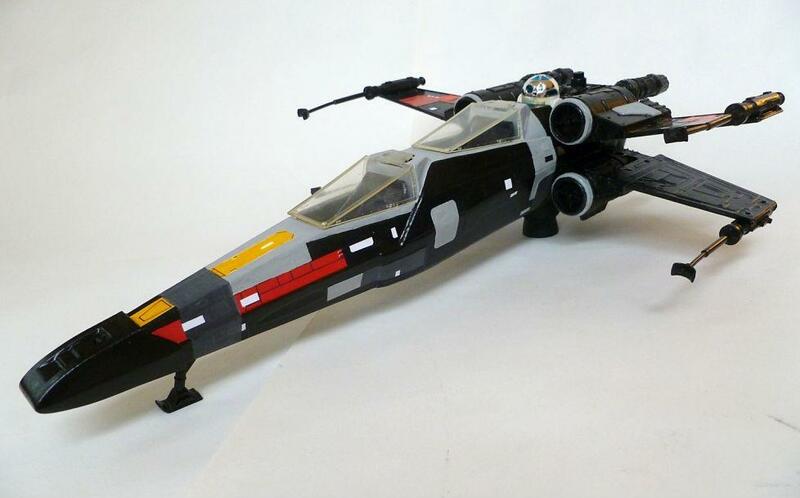 The classic X-Wing fighter in black – the design is striking and seems like an obvious colour scheme for a space flight vehicle. The toy vehicle, again another mash-up of an existing toy, adds a new paint scheme as well as a co-pilot seat. On the surface, a co-pilot seat makes sense – the Snow Speeder featured a similar 2-seater design, but that Speeder did not have the R2 unit in the back. In an X-Wing, the R2 unit is the co-pilot. A variation of this concept may actually see the light of day. 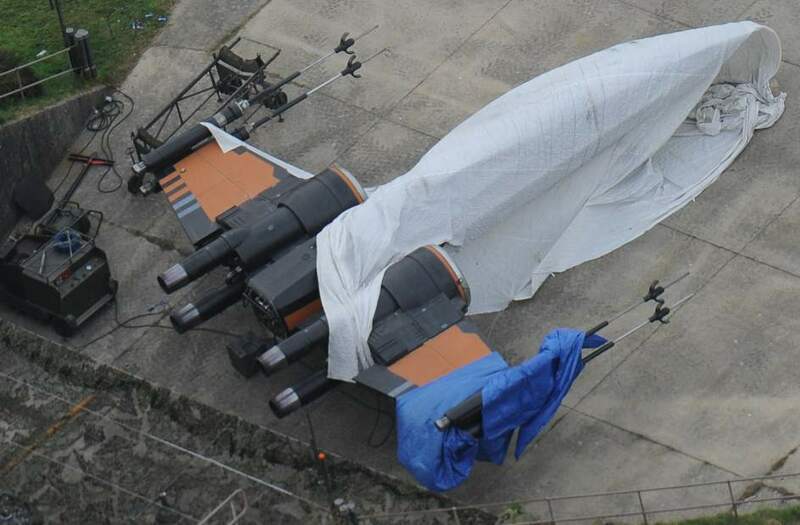 A Black X-Wing is hinted at in pre-release photos from Star Wars: the Force Awakens. To explore all these and many more, visit the Star Wars Collectors Archive Star Wars Collectors Archive, a geeky look at the galaxy of Star Wars memorabilia. That is a good one. There were a few others I could have listed, love Big Foot though. Scott Simpson liked this on Facebook. Craig Aikin liked this on Facebook. As an interesting “circle of life” in terms of Star Wars toys and recycling, Kenner ended up using a number of molds from their Star Wars line for the Robin Hood Prince of Thieves toy line. Friar Tuck’s body is a gamorean guard’s mold and the Sherwood Forrest play set was essentially the endor village.